Del Rey [you have] helped The Humagi family out with allowing them to be together by living in the same tent. (8 person log cabin tent). You also helped a taxi driver out by giving him funds to get shelter materials for his family. They are so thankful for the church [DRC], as tents in Nepal are now scarce to none, unless you put yourself on a military waiting list, and are cool with 20 people living in the same tent. Off to the Gorkha region in a few hours. That area was hit HARD by the quake, with some villages now 90% gone from landslides. The US Geo Survey said there might be another big quake within the next four days, so pray they are wrong, haha. With the majority of buildings either having collapsed or are structurally unsound, many people have resorted to living in tents. Yet because of this, the cost of tents has risen dramatically beyond the reach of most. 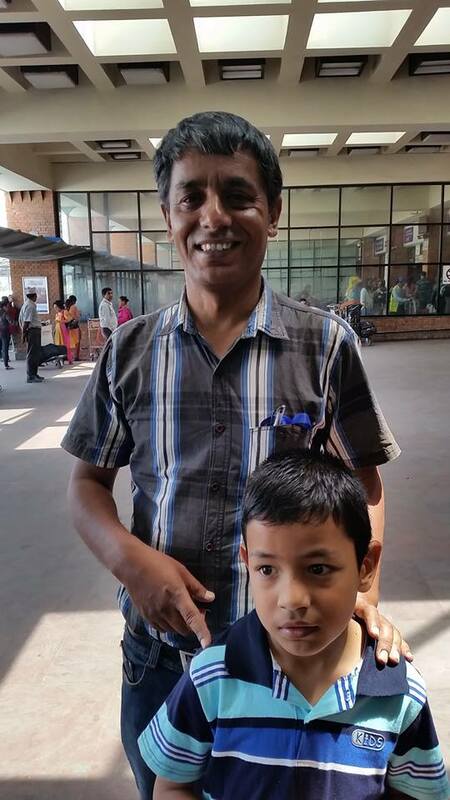 Praise God for the Humagi family, Christians living in Kathmandu, and for this taxi driver. May the God who holds nature in balance also rule in the hearts of many Nepali in this tremendously difficult time.